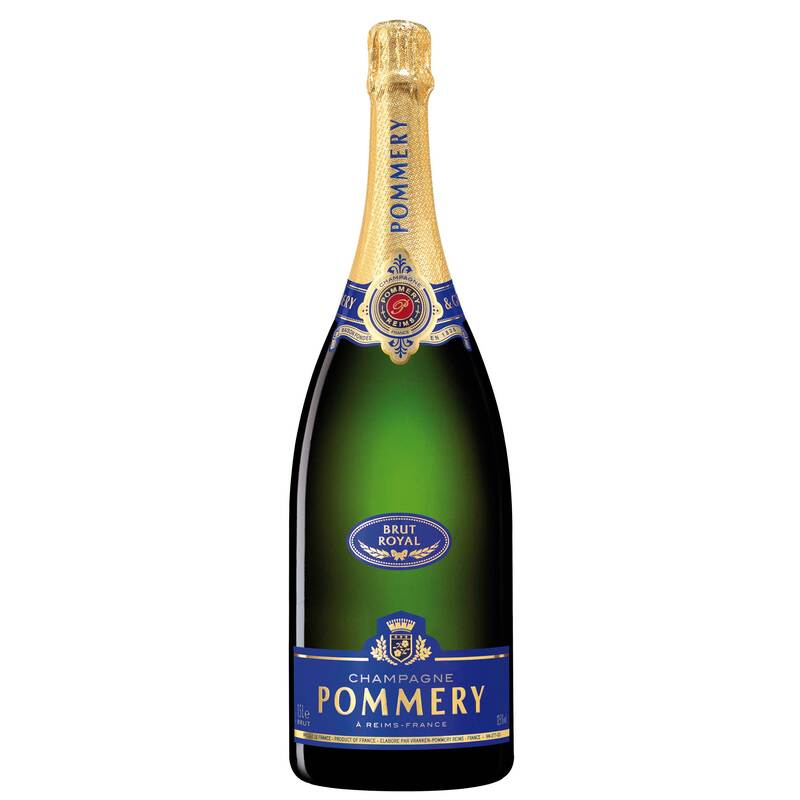 Pommery Brut Royal Non Vintage Champagne with a Royal Blue Gift Box is a Decanter Gold Award Winning Wine . Brut Royal is pale yellow with faint green highlights. Lively and cheerful, fresh, light-hearted, fine, delicate and generous.